The March, 2012, issue of Martha Stewart Living will be arriving in subscribers' mailboxes over the next few days. The March issue, which is the annual gardening issue, promises to fill our heads with all sorts of green grandiosity. The iPad edition is currently available for download. 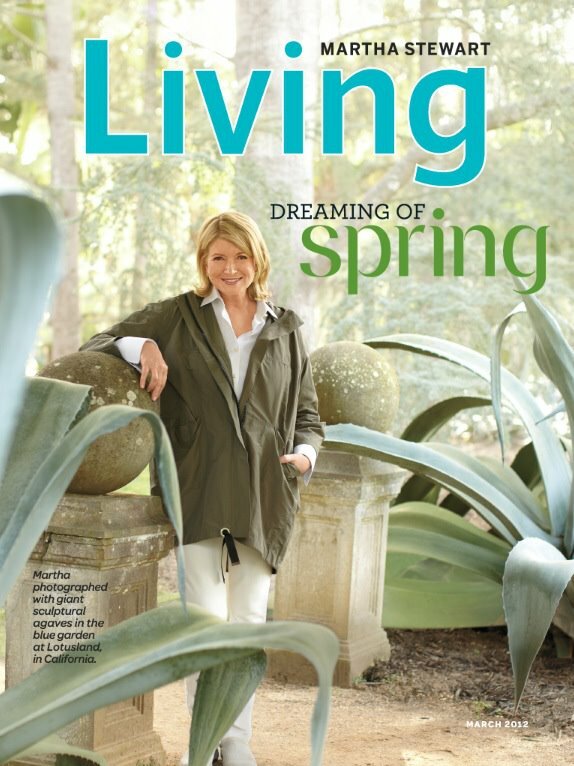 Martha looks lovely on the cover, photographed in the garden at Lotusland in California, surrounded by giant agaves. What a beautiful looking cover. I love all the covers with Martha but some do seem to be so airbrushed, here she looks at ease and happy. I wasn't keen on the February issue so I'm looking forward to the March issue. Me too! I did like February, actually. Since Pilar has been editor I've had almost no complaints.